Karin Schöttner can barely describe what she was allowed to experience with her daughter Elena. “Elli”, what she is called by her family members, is heavily disabled since birth. The 13 year old can’t eat, talk or walk. According to Karin Schöttner, the dolphin therapy from two years ago was a huge success. 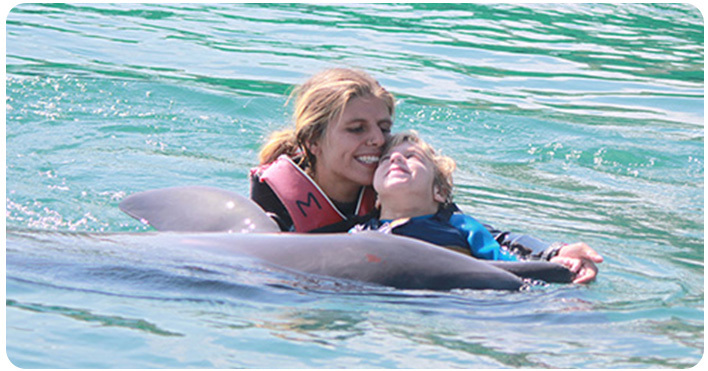 Now, thanks to the help of her big sister and many donors, the dream of a second dolphin therapy came true. 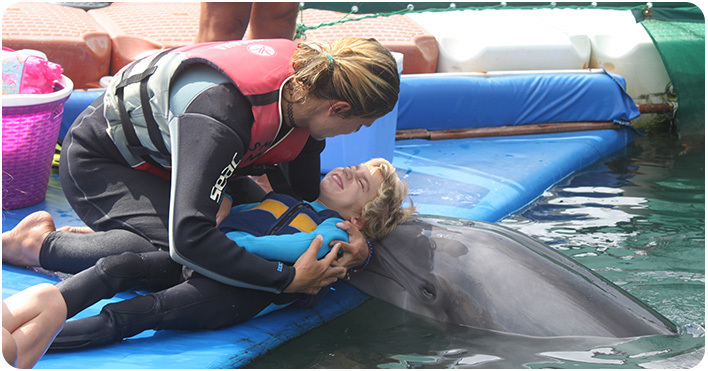 “The thought of doing a dolphin therapy with Elena has been around for a long time”, says the mother. “Now she was doing so good that we thought: when, if not now?” Karin and Gerald Schöttner spent two weeks in Marmaris in the southwest of Turkey with Elena and her little brother Till. There they were able to get away from day to day life, but most importantly Elena was able to enjoy contact with a dolphin. The therapy took about 45 minutes in a pool by the sea. “There was a platform on the edge, where the dolphin would always swim to”, Schöttner explains. Elena was on that platform with her therapist and a dolphin trainer. “There, her head was laid on the head of the animal.” Elena’s contact with the animal through her hands and feet and little games improved her motor function. “We also had the feeling that Elena made an effort to hold her head better, as to see as much as possible”, says Karin Schöttner. “On the first day already we noticed how much she was enjoying the contact with the animals. Elena was very relaxed.” Going in circles with the dolphin in the pool and touching him was great for Elena. Included in the stay in Marmaris were daily physiotherapy sessions before they would enter the pool. “And in the afternoon we were going for walks and also went swimming in the sea”, says Elena’s mother. Karin Schöttner’s daughter Daniela Mückenheim contributed very much to the financing of the therapy. She collected donations during sports events, for example during a marathon, where she was pushing Elena over the 21 kilometers long marathon track in her wheelchair. 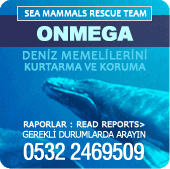 If you want to get in touch with that family concerning dolphin therapy related questions please contact us. “Emily has progressed so much. Our physiotherapist here at home is absolutely delighted!"